I have often heard creative agencies complaining about the promotional codes that govern medicines. I am not one of the grumblers! I fully believe that all these codes are essential to confidence in our industry and consumer safety. I also believe that, when creatives fully understand the various medicines’ codes they can find appropriate and brilliant creative solutions to clients’ communication challenges. Now I run my own agency I am a firm believer in the benefits of PAGB associate membership. Here’s why I think all agencies with OTC/P/GSL medicines, supplements or devices, owe it to their staff and their clients to become Associate Members. The PAGB codes are essential to all agencies and companies involved in consumer healthcare. They should influence the entire creative process for OTC medicines and devices. From brief writing, to ideation, to creative reviews; work conceived and executed with the codes in mind saves precious time and resources. Knowing how to ‘get it right’ is hugely rewarding for agency teams and it stops the grumbling! For this reason, all Wordbird copywriters and account managers attend PAGB’s code training so they can be ‘keepers of the codes’ tasked with sharing and empowering others in our agency. Sometimes there are grey areas or unforeseen hiccups. Who is classified as a celebrity? Are images of cuddly animals appropriate? What is perceived as promoting a medicine to children? These are all things that PAGB can help us with in the pre-vetting process. We have used the pre-vetting service to help our clients secure better claims, smooth the path for fast-turnaround projects and know at a pitch that our concepts have PAGB agreement in principle. PAGB’s training opportunities have made a lasting impact on the work we do. As Associate Members, we have access to exclusive PAGB events, such as the brilliant EU Exit Seminar. I left that event with my mind-blown over the complexity that pharma companies and the MHRA are wrangling with. I was also reassured. Now I understand the Brexit challenges our clients face. Similarly, after the seminar on Gender Stereotypes in Advertising, Wordbird Senior Copywriter, Sophie was moved by the financial, emotional and physical harm that gender stereotyping can lead to. Along with the weekly newsletters and self care information updates, these training seminars have shaped our thinking, our relationships with our clients, our proposals and our ability to deal with challenging situations. The Associate Member Working Group has been a great opportunity to express our interest and commitment to the consumer healthcare industry. Sharing a platform with other leading agencies makes the PAGB hub a fantastic place to learn and network. PAGB associate membership has become an intrinsic part of Wordbird. Our clients and potential clients know they can trust us with professional advice and excellent creative, on brand and always within code. Shouldn’t that be the same for all agencies working on consumer medicines? Thinking of becoming an Associate Member? 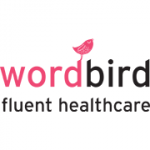 Sarah Sowerby is Founder of Wordbird, a creative agency specialising in healthcare advertising and communication. Sarah has worked for the vast majority of pharmaceutical companies, across almost all therapeutic categories on some of the world’s most famous pharmaceutical brands during a 28 year career in the industry. She has created campaigns for all health audiences. 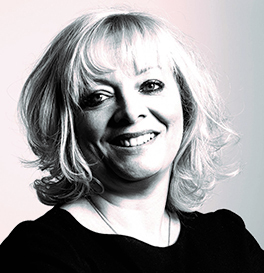 Sarah regularly judges healthcare creative awards, sits on the PAGB Associate Member Working Group and Chairs the IPA Healthcare Group. Sarah has helped develop a training course on the broader Medicines’ Landscape for IPA, for those new to medicines’ promotion (POM, P, OTC, GSL, supplements and devices). Find out more here.